Growth Tips DELIVERED TO YOU! A colleague drops a new acronym or a term you haven’t heard before. 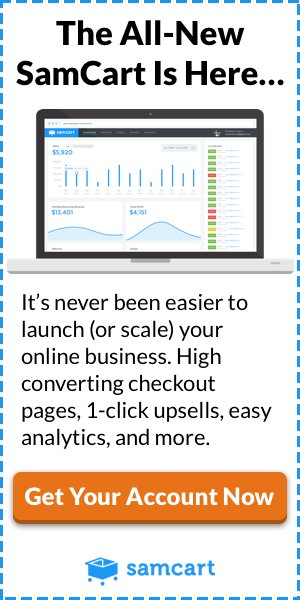 Back in your office, you Google it and find pages and pages of information: blog posts, technical articles, videos, full-length courses, podcasts, books you can order online or buy locally. Information overload? Yeah, you could say that. But what if you found a trusted source who told you: “Hey, friend. If you want to learn about that topic, here’s a list of the best, most reliable information that’s helped me. If you start here and move forward, one step at a time, you’ll learn what you need to know in the most effective way possible.” What if, instead of someone telling you, “This is the way you have to learn this material, because this is the way that I know how to teach it,” what if that person started from your needs, from the way it’s easiest for you to learn? Creating learning paths or programs around the learner means knowing as much about the learner as possible, for example, his capacity to learn the material, how, and where he wants to learn it, and how fast he can master the material. This learner-centered approach is much more effective than simply creating educational material around the subject and forcing the student to fit within that box. It’s no wonder that companies such as Pluralsight, Lynda.com, Udacity, and Udemy have received such heavy interest from the investment world: It’s time to disrupt the stodgy old education marketplace and replace it with innovative and accelerated learning solutions that can truly close the skills gap. We have all the pieces of a learning puzzle readily available, and companies are developing innovative ways to put those pieces together. It’s an exciting time and an exciting problem to be addressed because every single human being (with the possible exception of Negative Nelly or Patty I’m Perfect) is driven to progress in the best and most efficient way possible. And yet, so many people have been and are being left behind, which in turn has caused a massive skills gap problem in the workforce today. There are plenty of ways to close the skills gap, but in today’s post, I want to discuss how innovative learning paths can truly turn the tide from Gee, I really need to get skilled up to Wow, this will really work for me. This video from Richard Miller, president of Olin College, explains what science is teaching us about how we learn. This video does an excellent job of showcasing traditional models of learning side-by-side with new models of learning. Spoiler alert: the traditional model of learning is all about knowledge transfer. There are prerequisites to learning anything new, which sends a subliminal message to people that they can’t do something until they know something else. The new model is the direct opposite. It’s a can do approach that relies on constructed knowledge, allowing people a new way to build their skillset without the traditional prerequisites to hold them back. 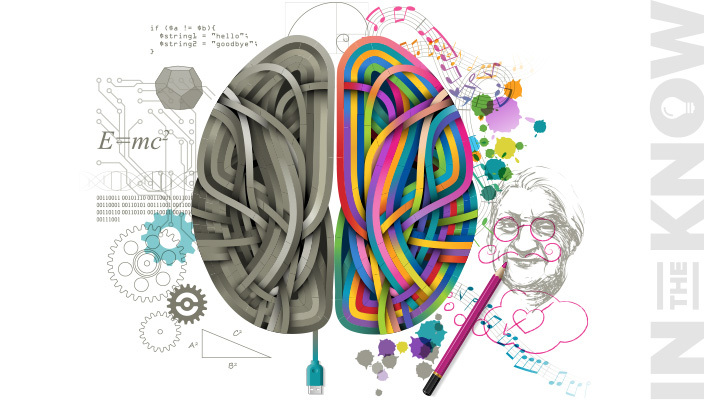 What’s amazing about learning is that it actually changes your brain. Neuroplasticity — the selective organizing of connections between neurons in our brains — is one of the most reliable and fundamental discoveries about our brains. This is wildly exciting for many reasons, but perhaps first and foremost because it’s scientific proof that intelligence isn’t fixed, but is rather forming and developing throughout our lives. 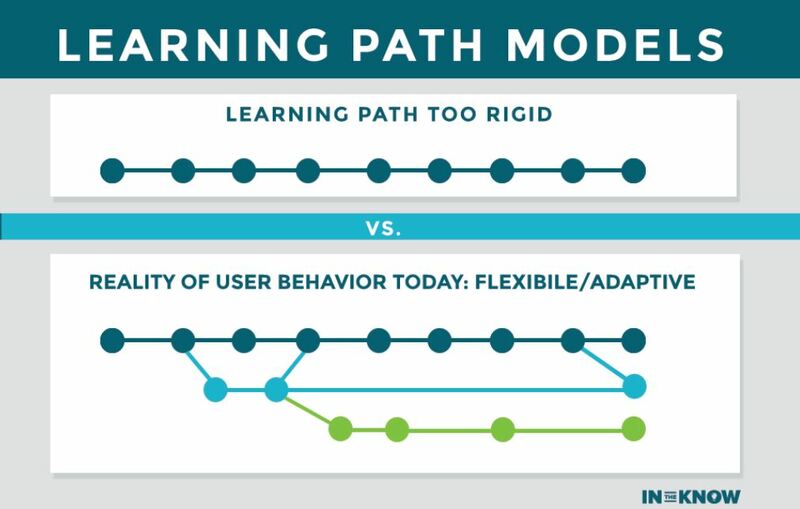 What is a Learning Path? Learning that adapts to the learner, that offers flexibility — what a concept! That’s a learning path, a sequentially built path that lets you master a subject in reasonable steps, rather than throwing the entire Internet at you. When you need to learn a lot of information on a specific topic, a learning path provides a way for you to do so without becoming overwhelmed. Learning paths offer a way to build on what you’ve already learned by presenting small chunks of information in a linear fashion, which sounds counter-intuitive at first. I mean, the Internet erased linearity, right? We can click from link to link and go anywhere we want, which is fantastic if you’re trying to figure out an obscure plot point in Game of Thrones. But when you start off on a blog post about machine learning and find yourself watching a video of dogs dressed up as people, there’s a case to be made for linearity. Maybe you’re an incredibly focused person and you manage to stay exclusively on topic while you work your way through pages and pages of material on a new topic. More likely, however, you wound up on at least a few tangents — the nature of the Internet makes it so easy to follow one link after another down the rabbit hole, after all. Regardless, when you “finish” your research, on something new to you, you might still have holes in your knowledge. Even worse, you don’t know what you don’t know. That gap between what you think you know and what you actually know can cause a lot of problems. At best, it makes you look foolish in front of others. At worst, it can cause you or your company to lose money, opportunity, or more. So, how should you get up to speed on a new topic, and how can you ensure that the information you’re getting is accurate and complete? By following a flexible learning path specifically designed to take you through a linear path that allows you to build on your knowledge, step by step, in microlearning sessions, but still gives you the flexibility to enhance the learning when and how you need it. Now, I don’t have the solid data to back up this next statement, but for me personally, I believe that a learning path that doesn’t offer a learner the ability to easily navigate each step regardless of whether or not a previous step was completed is too rigid for today’s advanced learner. Furthermore, learning paths that don’t offer additional mediums or sources (audio, written, video) to clarify, enhance and solidify the learning will have less and less utility to the learner as the information learned is more readily forgotten. Knowledge that transfers to a reliable skill is becoming a major priority to learners who want to close the skills gap. A learning path takes the specific information you need to master a given skill and breaks it down into individual topics and presents those topics in a linear fashion. Instead of clicking around articles and courses written for vastly different levels with no cohesive thread joining them, a learning path provides a step-by-step journey for you to follow, that takes you from novice to expert in an orderly path. You undoubtedly heard that Microsoft just bought LinkedIn for $26 billion. I’m pretty sure there was a news item or two about that acquisition. But did you hear, a few months earlier, that LinkedIn purchased online learning and training site Lynda.com for $1.5 billion? Combining the power of LinkedIn’s knowledge of the job market and the sheer number of courses offered at Lynda.com let the company start creating learning paths specifically designed to let people explore the skills and education needed to get jobs in various fields. For example, if you woke up one day and thought, Hey, I’d like to be a programmer. They make good money! you could follow a learning path that would first explain how to break down “programmer” into front-end developer, back-end developer, database expert, and so on, provide insight into the different programming languages and how they fit into different industries and applications, then show you the kinds of materials, courses and education necessary to acquire the knowledge needed to get hired in those fields. By the time you finished the learning path, you would know that your current interest leans more towards creating and managing the massive databases needed to store and manipulate information for the backend of stock trading systems, or designing a flawless user interface for mobile applications, or testing existing software to ensure that it meets specifications and functions properly. All of these jobs require different skills and training, and understanding which most appeals to you will let you focus on acquiring the skills you need. Can Innovative Online Learning Replace Traditional Education? 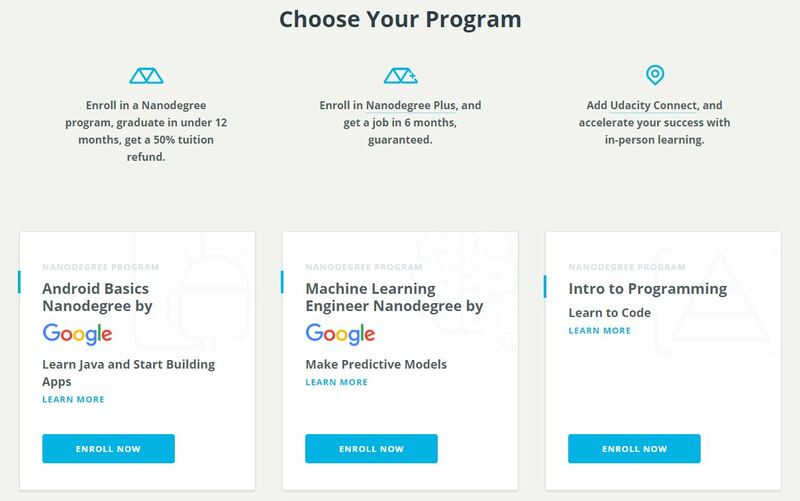 If you’re looking to use a personalized learning plan or an innovative learning portal to replace a traditional education, the Nanodegree program from Udacity can help you create a straight line from where you are now to your dream job. (That link will get you 20% off, by the way.) The Nanodgree program is designed to hone in on precisely the skills you need to succeed in the job you want, without wasting time on subjects that won’t help you advance your career. In fact, Google just partnered with Udacity to release an Android Basics Nanodegree program for students with little to no programming experience. At Pluralsight, a company located in my backyard, you can find skills paths sorted into playlists, as well as tools to benchmark your current skills in a given subject. On the enterprise side, companies like Pathgather allow companies to make all of their learning resources accessible from a single point of access and even create a social component, an angle that has enormous potential and that I’m keen on at In The Know. In fact, I recently took the time to demo their platform for a growing business client of mine and I was very impressed with the design and their innovative approach to gaining employee engagement. Employees can design a learning path tailored to their job tasks and long-term career plans, pulling in materials from multiple sources, in varying formats all while being able to share updates, tips, information, and more with their friends and co-workers. When you know precisely what you want to learn, you can turn to a curated learning path created by a trusted expert in the field to give you precisely the knowledge you need to succeed in that field — and it definitely doesn’t have to cost a fortune. In fact, many of our currently featured learning paths can be completed — completed! — for around $100. Take a look at how technology is transforming the way we learn. A well-constructed learning path will take you on a logical, linear path from novice to expert and provide you with learning nuggets you can use to build your knowledge sequentially. So, for example, a data science learning path will start with the foundational information you need: perhaps with a comprehensive explanation of how data science is driving new business value, and only later introducing the specific tools for analysis, at a point when you’re more prepared to explore them. The learner-centered approach of the learning path lets you focus on your goals and objectives, rather than the course’s goals and objectives. Most university degree programs don’t reflect the ways modern students learn best. When you control your own learning experience, you can learn faster and more effectively. 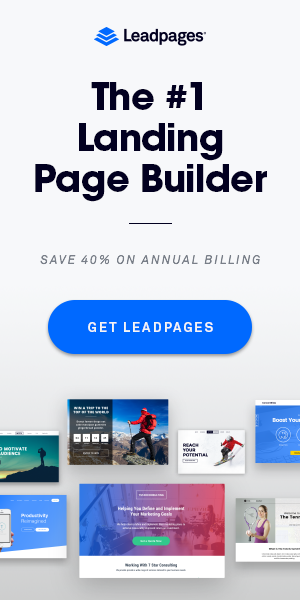 So if you need to focus on how you can use A/B testing to improve conversion rates on your landing pages, you can find a highly specific learning path that will give you the background you need and take you through the steps involved in creating high-converting landing pages, and how to apply A/B testing to certain elements to improve your results. So you may be thinking somewhat skeptically, Why a learning path instead of a comprehensive course? Great question. There are some fabulously comprehensive courses available on the Internet on just about any topic you can imagine. You can spend time looking through course catalogs, read reviews, and take the plunge. You can find courses in all kinds of price ranges — from free to thousands of dollars. 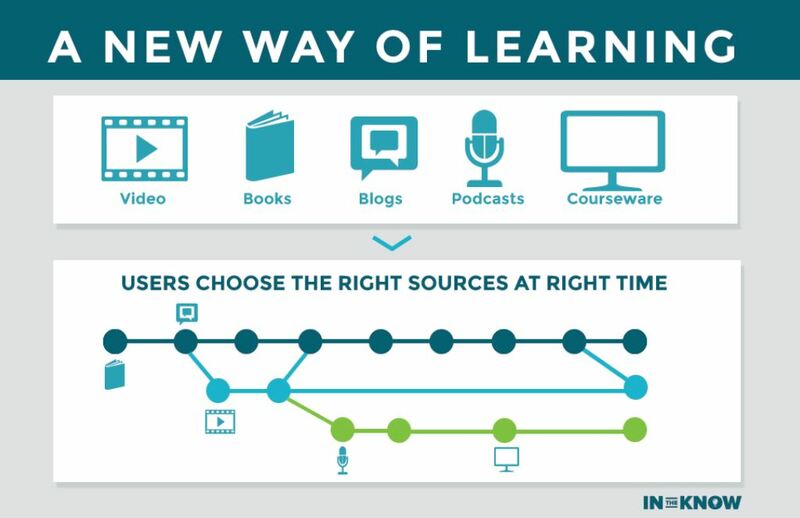 And although courses are a key part of any learning path, a course alone can rarely match the quality of a multi-medium learning path where the end goal for most learners is to convert that knowledge into a reliable skill. Knowledge is one thing but it’s in the application of that knowledge where the widening skills gap can be closed and the key to successful learning is ensuring that the “stuff” that’s being learned can be retained and wielded when needed. Different people learn and retain information in different ways. If you’re an auditory learner — that is, if it’s easier for you to retain information when you hear it — your personalized learning path might comprise podcasts and other audio and video lessons rather than providing you with a list of books and articles to read. Perhaps you prefer to read because you can skim and absorb information quickly, so you pull up a list of articles, book excerpts, and blog posts. If you want a combination of approaches, you might like a learning path that combines multiple information sources: videos with a kinesthetic experiential component, articles you can read on your commute, and podcasts you can listen to on your evening run. The learning paths we’ve put together aren’t stuffed full of our own materials, and that’s by design. I’m not the world’s greatest expert in everything, and I’m not afraid to admit it! Rather, together with my team, I’ve put together the materials and resources that I truly believe are the best. All of our learning paths include audio, written, and visual materials put together in an informal sequential format. It’s linear to a degree — you could start at the very beginning and go through to the end. Or, you could jump in and watch a video, then go back and read a blog post or listen to a podcast, and pack a book to read on your flight. You can choose the parts that work with your learning style because our learning paths take into account the different ways people learn to create a personalized learning solution. And even though personalized learning on its own isn’t the answer to all of our educational woes, as Joshua Bleiberg points out, leaner-centric paths with content tailored to your needs and goals, and to the way you learn best, are a significant piece of the solution, in part because we have a hard time remembering new information. Setting yourself up to actually retain what you’re learning makes you significantly more likely to be able to use that knowledge effectively and practically at work on a daily basis. Learning and retaining new information isn’t easy — but a learning path that’s tailored to your learning style will go a long way towards minimizing the effect of the forgetting curve. The forgetting curve tracks how much information we fail to retain — or, you know, forget — over time. If you want to get sciency, you can talk about the durability that memory traces in the brain. For example, if I ask you what you had for breakfast a year ago today, you probably can’t remember. But if I ask you what you had for breakfast on September 11, 2001, you likely recall something. Jill Margerison explains memory recall and the forgetting curve in this video. We’re more likely to retain new information if it comes from a trusted source — someone we respect. And we’re more likely to retain information presented in different but specific ways and this varies from person to person. Some people like to review written information, while others prefer to hear it spoken aloud. Customized learning paths can take these learning differences into account and present information in multiple formats to make it easy and accessible to everyone. When you’ve just finished four years of intense learning, at great cost, the last thing you want to hear is that you still don’t have the skills you need to get and keep a job in your field. And yet some students who spend an extra two years on education can lose up to $300,000 in tuition, interest on loans, and foregone income and retirement savings as Victoria Simons and Anna Helhoski report at NerdWallet. Education costs money. Unfortunately, I’m hard-pressed to think of a career that doesn’t require ongoing learning. Certainly, anything even tangentially related to the digital world means investing in your knowledge regularly (although you definitely don’t have to pay the exorbitant prices private universities are charging). The rapid pace of technology makes it hard for anyone to keep up. A 2014 report from Career Builder noted that over 80 percent of hiring managers had a hard time filling open positions because applicants lacked the skills needed to do the job. Over 60 percent ultimately hired someone under-qualified. Are your skills up to par? Consider that while 60 percent of employees know that there is a skills gap they’re pretty sure they aren’t part of the problem: 95 percent of employees are convinced that they are qualified or overqualified for their jobs. The same survey noted that more than half of millennials think they know everything they need to know to do their jobs. In part, according to the authors of the report, this is because millennials lack experience and don’t yet have a true understanding of the skills needed by their companies. It comes down to this: If you want to have a job, you can probably get by with the skills that got you hired in the first place. But if you want a career, you need to own your professional development, and incorporating learning paths into your routine can significantly reduce your time to mastery of new concepts and keep you ahead of the curve. Learning paths can help you identify what you don’t know before you need to know it. Think about the difference between a marketing manager ten years ago and a modern content marketer — who cannot survive without substantial technical skills. If you need a quick explainer on how modern content marketing differs from traditional marketing, this video should help. I know. You’ve heard about the skills gap, and you probably want to shake your head and say, “Yeah, that’s not me. I learned this stuff. I went to a great school.” Yep. You and 95 percent of the workforce. Here’s some news you might not want to hear: working with new technologies means you will constantly need to update your skill set. If you rely on what you were taught in school — or what you did at your last job — you will quickly, but quickly, be outpaced by new developments. You will not have hands-on experience in the skills you need. Here’s the thing: No one has 20 years of experience in mobile app development because mobile apps have only been around since about 2008. Think about that: people who graduated in 2007 did not take a single class in mobile app development because the concept didn’t exist. Data science as a field has been around since about the 1960s, but the technology has obviously changed enormously in the past half-century. You wouldn’t expect a modern data scientist to rely solely on the information he learned in college. And even though most of us have at least heard of data science, many professionals still don’t know exactly what it is — or how they can tap into data science insights to improve sales, boost revenues, and grow a business. 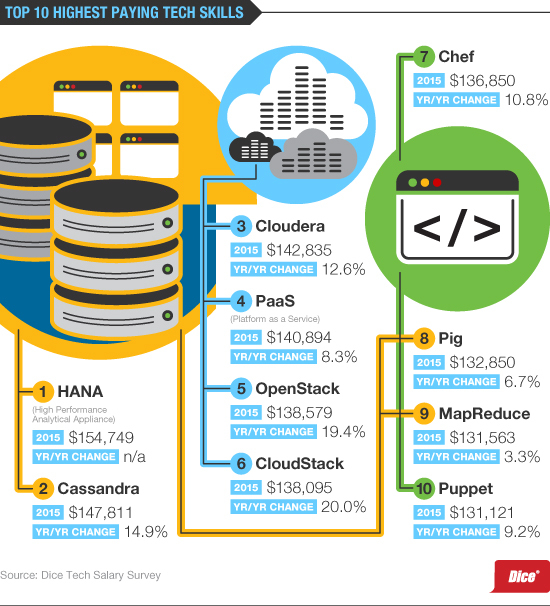 Some of the highest paying careers of 2020 — which is not that far away — are based on technologies that have not been invented yet. How’s that for crazy? Years of experience just doesn’t cut it. Instead, employers are looking for people with skills in multiple areas who want to keep learning and experimenting. To be an effective learner, says Stephen Downes, you need to be able to learn on your own. You need to be able to choose a learning path and stick with it to gain the skills your employer needs you to have. Ongoing education is simply critical for anyone who wants to work in a modern, growth-oriented business and learning paths, in particular online learning paths through innovative methods and platforms are key to being and staying “in the know” (forgive me but I couldn’t resist). Even if you know everything there is to know, for example, about using machine learning to enhance the customer experience right now, in a year, your knowledge will be at least partially outdated. If you’re in marketing or in charge of growth and you don’t have a technical background, you won’t be able to get — or keep — a job without learning new skills. You need to stay ahead of the curve in the very latest technologies, from the basics of HTML and CSS needed to update your company website, to user flows designed to reduce friction in onboarding, A/B testing different areas of your site and landing pages, optimizing your on-site SEO, and so on. These aren’t just skills that are nice to have — they’re absolutely critical if you want to work in a modern company. Aligning skills with workforce needs is just one piece of the ongoing learning puzzle and here’s a fantastic Ted Talk on the subject. On the one hand, companies have jobs that need to be filled. On the other hand, they’re faced with workers who don’t have the skills to do the job. Necessity is, after all, the mother of invention, so companies are looking into some innovative education solutions: Derek du Preez recently highlighted the work being done to address the technology skills gap by Year Up, a company that trains disadvantaged 18-24-year-olds who haven’t had educational opportunities in the past. Within 12 months, Year Up gives them the skills they need to be a “pipeline of talent” for Google, Facebook, American Express, and other major corporations. How cool is that? I commend these kinds of ventures that are leading the effort to change the way in which we can not only address the skills gap through ongoing education but also address the issue of personal empowerment through ongoing education. Education, learning paths, skills training — however you want to define it is a full personal-to-professional empowerment circle that keeps on giving. In an essay titled “Emerging technologies, education, and the income gap,” UVA Professor Michael E. Gorman notes that “Machine learning algorithms are now trading on Wall Street at nanosecond speed, far beyond the capacity of the human nervous system, which suggests that human traders will soon be obsolete.” You know who won’t be obsolete? The guys who built those machine learning algorithms and teach them to the machines. The science is there to support the switch to linear and non-linear learning paths that help people learn new skills quickly and effectively. In fact, in-depth learning rewires the brain and prepares us for leadership, says Barrett Brooks. Organizations that continue to focus only on traditional training and classroom presentations aren’t able to close the skills gap fast enough. If you’re working at a company that isn’t on board with allowing you to control your own learning, that isn’t encouraging you to learn continually, then you should think about looking for another job, in a company that’s committed to keeping pace with the rapid need for changing skills in the world. And if you’re an executive that can’t seem to get your team on board, and you don’t know where to start, contact me to see if I can help you push those initiatives over the top. As a change agent, my goal is to help individuals, teams and organizations grow! A learning path can help bring order to your learning and help you focus on what really matters and apply that knowledge in strategic ways. For example, if you’re a designer, you likely know, simply by virtue of doing your job, when your favorite tools are updated — or discontinued. You interact with colleagues and hear about their experiences with the newest software, the problems with uploading this specific format to a site with that particular plug-in. A learning path can help expose you to the more strategic knowledge. For example, that new research has determined which design elements increase sales — and which drive customers away. That’s information that makes you more valuable to your company. Here’s a serious question: Why do you think people working in technical fields in Silicon Valley make more than their counterparts in, say, Iowa? Sure, part of the discrepancy is based on market forces, but another, very important component of the salary gap is based on actual skills. The talent in Silicon Valley is constantly exposed to new technologies, and they have to learn how to use them — quickly. They acquire new knowledge and new skills that are cutting edge and oftentimes take time to trickle down to the rest of the world. So they can command higher salaries, because they already have experience using that cool new tool, and they know how to do that new thing everyone else is only talking about. As an example, here’s an excerpt from our data science learning path for marketers on how companies are using data to inform real-time app marketing decisions. Imagine if you could pay Iowa real estate prices but earn a Silicon Valley salary. I can’t promise you that a curated learning path will get you that raise, but I can guarantee that if you don’t take charge of your own education and professional development, you will be playing on a very uneven field. When you can use personalized curriculum sequencing to create a custom learning path tailored precisely to your needs, you will be able to hone in on the skills you need most in order to succeed in your day-to-day job — and in your long-term career goals. Tech talent gaps hold companies back, and they are actively looking to plug in those holes with talented performers who have in-demand skills. And the problem is only getting worse. By 2020, experts predict about 1.4 million computer science jobs — but only 400,000 people with the skills to fill them, writes Darlene Aderoju at EdScoop. And those skills aren’t only needed to work in technology companies, but rather across a broad spectrum: retail, medicine, law enforcement, and more. Here’s another tough question. Have you ever been passed over for a job or a promotion? There’s no shame in it — I’m not sure I know anyone who’s been awarded every job and/or promotion he or she has been considered for — but it still stings. But here’s the thing: you may have been passed over for that position because you weren’t sure you could do the job. You weren’t a million percent certain that you had the necessary skills. When you are consistently working on improving yourself, when you are owning your professional development and committing time to learning paths that supplement and extend your knowledge, you carry yourself differently. You answer with more confidence. And even if you don’t have experience with a particular tool or you haven’t yet mastered a specific topic, you know you have the skills to get it done — and it shows. If you want the freedom to approach new tasks without fear, learning paths that build on sequential information can truly help accelerate your learning. Think about the skills you need in the short term in order to perform your day-to-day tasks with more confidence, and think about the kind of work you want to be doing a year from now. Look for a learning path that will strengthen your existing skills and help you build your personal knowledge base for the future. Buckley Barlow founded In The Know as a way to help forward-thinking individuals and teams who are responsible for driving growth in their organizations. I try to make the small things learnable so you can make the bigger things happen. According to my thinking, we can’t replace anything completely but yes we can transform the way we learn because there are so many technologies in the market to give you better guidelines and knowledge in a better way. Yes, learning path is always the best way to learn as it makes you focus towards your goals. Very well said, every time I read your post gives me a different way of thinking and knowledge. the lack of EXPERTS may a great reason to have situation like this. I am reading your post learning-paths-can-help-close-the-skills-gap from the beginning, it was so interesting to read & I feel thanks to you for posting such a good blog, keep updates regularly.. The world of business is being transformed before our very eyes. Consumers' expectations are changing weekly, maybe even daily. Innovation is happening at a breakneck pace. Technology is driving new models and new roles within organizations. It's an exciting time and yet, all this change can easily leave a company paralyzed trying to find that magic formula to growth.The IN THE KNOW blog (along with all the other content on this site) features original strategic and actionable content to help those tasked with growing an organization stay relevant and ahead of the curve in an ever-changing landscape. The content is evolving along with everything else around us. Let's make the smaller things learnable so we can make the bigger things possible. Fill out the form below and we'll email you our free ebook. Thanks for checking out In The Know! We've been busy and made lots of changes on our site. We'd love to know your thoughts. We also appreciate if you find any errors on the site. Please list them on the message box with the link where you found them.